Looking for a new start? Take a closer look at GTI! Welcome to Gadsden Technical Institute, Quincy Florida's premier technical training center serving dual enrolled high school and adult students. Gadsden Technical Institute (GTI) has been providing opportunities for the citizens of Gadsden County for over 40 years. Whether you need a high school diploma (GED), a career, or you’re wanting to change careers, GTI is there to assist you. GTI offers nationally certified post secondary adult vocational (PSAV) certificate programs that are designed to prepare students to meet the needs of an ever changing and fast-paced economy. Students from ages 16 and above are eligible to enroll in both Career, Technical and Adult Education Programs. Make the call today to begin training for your future. You pick your trade area and the program length! Career and technical programs are offered fives days a week. Adult Education courses are offered five days a week. Contact GTI for TABE test dates or you may also view the on-line calendar for test dates. Enrollment for adult education courses are on-going. Students are provided an opportunity to hear about policies, rules and procedures in addition to program information. Interests inventories and personality traits are explored with relation to chosen career paths. Financial assistance ( limited) to eligible applicants for tuitions, books, supplies, uniforms, etc. On campus opportunities in addition to local businesses and industry options. Provides official credentials to students to best describe their ready to work status. Annual Career and Job Expo - Local, regional, state, and national employers on hand for prospective job seekers. If you have special needs and require special accommodations, please make this known to any member of our staff. Gadsden Technical Institute envisions an inclusive, multicultural campus environment that welcomes and actively supports diversity in the widest sense: race, ethnicity, religion, disability, sexual orientation, gender identification, gender expression, social economic status, etc. 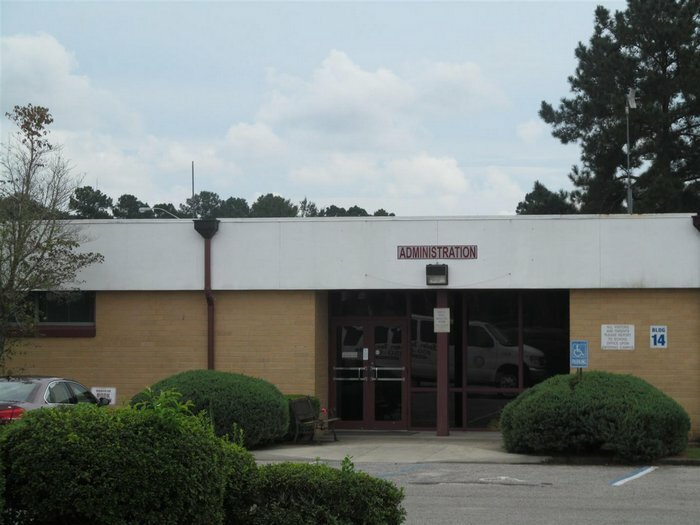 Gadsden Technical Institute was originally established for part-time students in grades 10-12 who were interested in vocational studies. The school became a comprehensive high school in 1995 and changed its name to Gadsden Technical Institute. This name change reflected the school's renewed commitment to providing technical courses and training for high school and adult residents of Gadsden County. It also serves to improve student academic achievement and performance on various assessments as prescribed by the state and school district. Gadsden Technical Institute is a community-oriented learning center which fosters an environment that develops positive student attitudes and achievements supported by active, involved educators, students, families, communities, and businesses. All students, through the use of school and community resources, will leave school as life-long learners prepared to meet individualized goals, pursue a career, and contribute to a changing society. Students transferring from other institutions are encouraged to file their registration and supporting academic documents in the Student Services Department. Transcripts are requested and clock hours of attendance, grades and skills are reviewed for award of credit, time and placement. all transfers are considered on an individual basis when space is available and admission requirements are met. Florida Laws: FL Statutes - Title XLVIII K-20 Education Code Section 1003.01 Definitions. 1003.31 Students subject to control of school. (d) During a reasonable time before and after the student is on the premises for attendance at school or for authorized participation in a school-sponsored activity, and only when on the premises, be under the control and direction of the principal or teacher in charge of the school, and under the immediate control and direction of the teacher or other member of the instructional staff or of the bus driver to whom such responsibility may be assigned by the principal. However, the State Board of Education or the district school board may, by rules, subject each student to the control and direction of the principal or teacher in charge of the school during the time she or he is otherwise en route to or from school or is presumed by law to be attending school. Each district school board, each district school superintendent, and each school principal shall fully support the authority of teachers, according to s. 1003.32, and school bus drivers to remove disobedient, disrespectful, violent, abusive, uncontrollable, or disruptive students from the classroom and the school bus and, when appropriate and available, place such students in an alternative educational setting. (2) There is a rebuttable presumption that the term "reasonable time" means 30 minutes before or after the activity is scheduled or actually begins or ends, whichever period is longer. A school or district school board may, by policy or other formal action, assume a longer period of supervision. Casual or incidental contact between school district personnel and students on school property shall not result in a legal duty to supervise outside of the reasonable times set forth in this section, provided that parents shall be advised in writing twice per year or by posted signs of the school's formal supervisory responsibility and that parents should not rely on additional supervision. The duty of supervision shall not extend to anyone other than students attending school and students authorized to participate in school-sponsored activities. (c) The student has been found guilty of a felony. However, if the student is a student with a disability, the disciplinary action must comply with the procedures set forth in State Board of Education rule. (a) I will be respectful at all times and obedient unless asked to do wrong. (b) I will not hurt another person with my words or my acts, because it is wrong to hurt others. (c) I will tell the truth, because it is wrong to tell a lie. (d) I will not steal, because it is wrong to take someone else's property. (e) I will respect my body, and not take drugs. (f) I will show strength and courage, and not do something wrong, just because others are doing it. (g) I pledge to be nonviolent and to respect my teachers and fellow classmates. The following information is provided for parents and guardians of students attending Gadsden Technical Institute. Clarification of any information in this section can be obtained by contacting a school administrator. Q: Why am I required to present an ID upon entering the school? A: State and District law requires that all persons entering a public school be properly identified to prevent persons who would otherwise unlawfully enter from doing so. Additionally, the scan process helps to secure the school environment and safeguard the campus from sexual predators and others who commit crimes against minors. Q: Will I be notified if my student is charged with violating the Rules of Conduct? A: We may notify parents if their student has an alcohol violation or a drug violation (zero tolerance) as allowed by the amendments to the Family Educational Rights and Privacy Act of 1974 (see below). This act governs the release of educational records. We encourage students to speak with their parents/guardians and believe that as adults, students should take responsibility for initiating the conversation. We also encourage students to sign releases that allow us to speak with parents about a situation, so that we can all work together to resolve it and help the student. In addition, you may be notified if there is an imminent risk to the student's health, safety, or welfare. Q: What is my role in the school's student conduct process? How can I help my student? A: You can help to guide the student through the process and be supportive while holding the student accountable to your expectations and the school. You can also help identify and provide necessary interventions, such as alcohol or drug evaluations, anger management, and others, so that your student can be successful at GTI. Allow and expect the student to set appointments, seek advisement, attend meetings, and fulfill sanctions. It is usually not helpful to the educational development of the student, or resolution of the matter, for you to take over the process from your student. Q: Can I attend the student conduct meeting and/or hearing with my student? A: The student may have an advisor present, who may be a parent/guardian. The role of the advisor is to support and advise the student but not to speak for or represent the student. Any student under the age of 18 is required to have parent/guardian representation. Such persons will be notified of meeting/hearing dates. Q: How are sanctions decided? A: Sanctions are determined by considering the following factors: nature of the violation, the student's role in the incident, the effect of the incident on others and on the student, the student's developmental and educational needs, and the student's prior disciplinary record. Mitigating and aggravating circumstances are considered. Q: My student was placed on disciplinary probation? What does that mean? A: Probation lasts for a specific period of time, and is usually implemented by semesters. It is a notice to the student that any violation of the Rules of Conduct or the conditions of probation committed during the probationary period will subject the student to further action, with a likely result of suspension or expulsion. A HOLD is placed on the student's account for recording keeping purposes. Q: Does the outcome go on my student's record? A: If a student is suspended from the school, a notation will be permanently placed in the student's disciplinary file in both paper and electronic formats. If the student is expelled, a notation will also permanently remain. A student's conduct case record will be maintained in the Main. The case record of a student who has been placed on Disciplinary Suspension or Expulsion will be permanently maintained as official records by the school and the District. Q: Will a disciplinary record prevent my student from enrolling in school, employment, etc.? A: A disciplinary record does not automatically exclude a student from further study, jobs, etc. That usually depends on the type or severity of misconduct in which a student is involved. A disciplinary record may lead an admissions office to more closely scrutinize the student's application. We will only release information about a student's disciplinary record to another school or potential employer as allowed by the state law policies (Family Educational Rights and Privacy Act of 1974), or with the permission of the student. Q: Why is a particular rule or policy in place? A: Policies are designed to support the school's educational mission, vision and goals. They are meant to support a safe environment where people can work, study, and live without undue interference. They are also designed to build and support the academic and social community, teach students responsibility and interdependence, as well as promote moral and ethical development. Q: This incident happened off campus. Why is the school involved? A: The school has an interest in maintaining a safe community and appropriate standards of conduct for its students. This includes both on-campus and off-campus behavior, which can have an impact on the school community and the school mission. The criminal justice system and the Rules of Conduct are not mutually exclusive. By virtue of being a student, your student is held responsible for upholding the standards of behavior in the Code of Conduct of the School District and the Student Handbook of the school, as well as public laws. Additionally, in some situations off-campus activities involving students can have a major affect on campus life and campus activities. Each case will be handled individually. For information or clarification on these and other campus policies, please contact an administrator. • Parents or eligible students have the right to inspect and review the student's education records maintained by the school. Schools are not required to provide copies of records unless, for reasons such as great distance, it is impossible for parents or eligible students to review the records. Schools may charge a fee for copies. • Parents or eligible students have the right to request that a school correct records which they believe to be inaccurate or misleading. If the school decides not to amend the record, the parent or eligible student then has the right to a formal hearing. After the hearing, if the school still decides not to amend the record, the parent or eligible student has the right to place a statement with the record setting forth his or her view about the contested information. • State and local authorities, within a juvenile justice system, pursuant to specific State law. Schools may disclose, without consent, "directory" information such as a student's name, address, telephone number, date and place of birth, honors and awards, and dates of attendance. However, schools must tell parents and eligible students about directory information and allow parents and eligible students a reasonable amount of time to request that the school not disclose directory information about them. Schools must notify parents and eligible students annually of their rights under FERPA. The actual means of notification (special letter, inclusion in a PTA bulletin, student handbook, or newspaper article) is left to the discretion of each school.